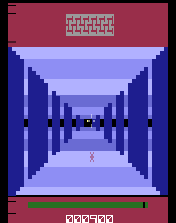 Play Survival Run online with Atari 2600 browser emulation for free! Survival Run (A2600) game rom is loaded with features in our flash, java and rgr plugin emulators. Nothing to configure, we've done it for you! 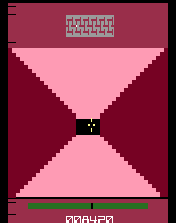 In this game you have entered some underground caverns on another planet. 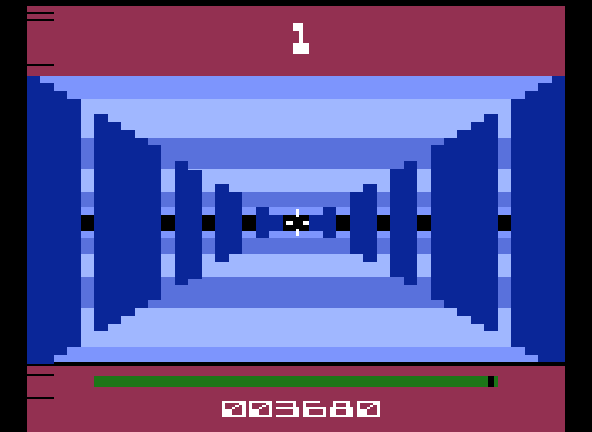 As you try to navigate your way through, you must destroy enemy space ships and force fields. You move the target reticle by moving the joystick and fire weapons by pressing the red button. You can see the ships coming in the distance but if they get too close they will fire on you, causing you to lose energy. If you see a force field, you will see a square to the right. Shoot the square to disable the field. If your ship hits the field, you lose energy. You gain energy when you destroy a ship or disable a force field. Use the map on the top of your screen to determine which path to take, left or right. If you choose the wrong path or run out of energy, the game is over.